Second SQL Saturday of the year and second time presenting “A Beginners Guide to Transactions.” I think I’ve got it almost where I want it as a smooth 65-minute session. Little did I know, that I had 75 minutes for the presentation in Cleveland. So, I threw in a few minutes on Locks. You can download the presentation here. Or you can come to either Chicago or Cincinnati in March to see the session yourself. We would love to see you there. 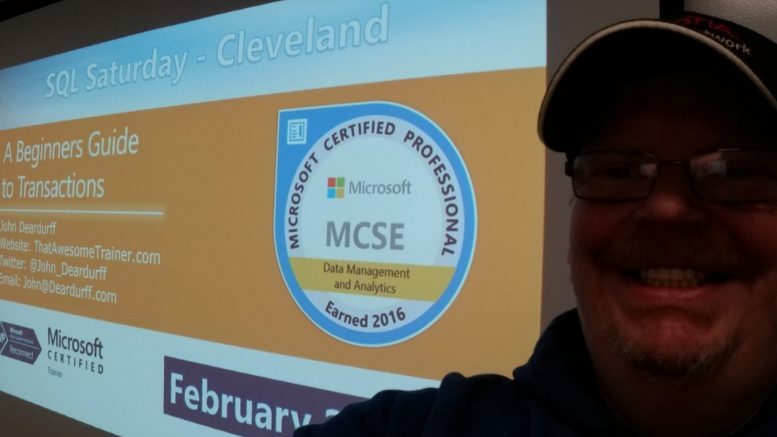 Be the first to comment on "SQL Saturday Cleveland 2019"